Shelves and racks are handy storage items and are never enough in the house. These can be used easily to display everyday items without cluttering the place. Making use of the different shelves and racks, whether they are antique or new, can help you to display the items easily without a mess and at the same time these can look decorative also. You can have these racks and shelves in each and every room of the house with items that relate to the rooms. Shelves in the dining room can show off cutlery while those in the kitchens can be used for displaying cookware items. 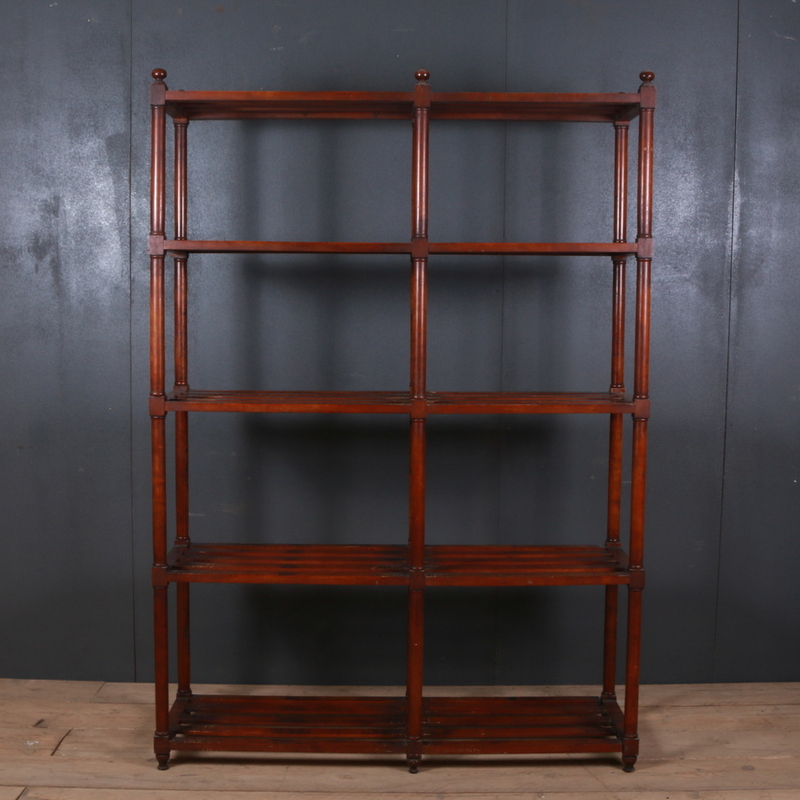 Our collection at Arcadia Antiques includes a number of antique shelves, antique racks, antique hanging bookshelves of antique country pine and other such antique pine furniture items. The antique shelves include French pine shelves and French slated shelves. There are a number of options for racks. These include walnut deed racks, French pine bakers racks, pine hanging racks, mahogany hanging plate racks etc. Browse through the categories for more details about the available pieces.